This destination is too good not to share! 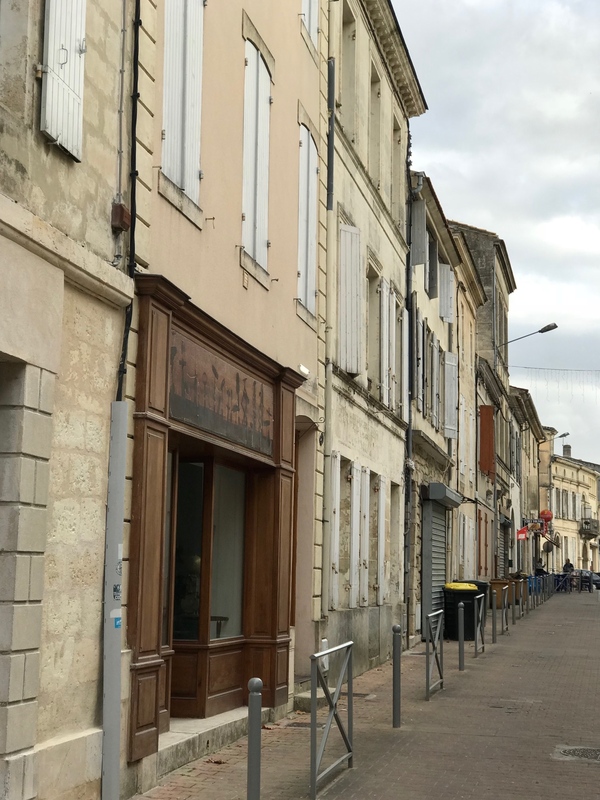 You say Blaye with a long “I”, othes pronounce it with a long “A”. Whatever…it is anything but blah. 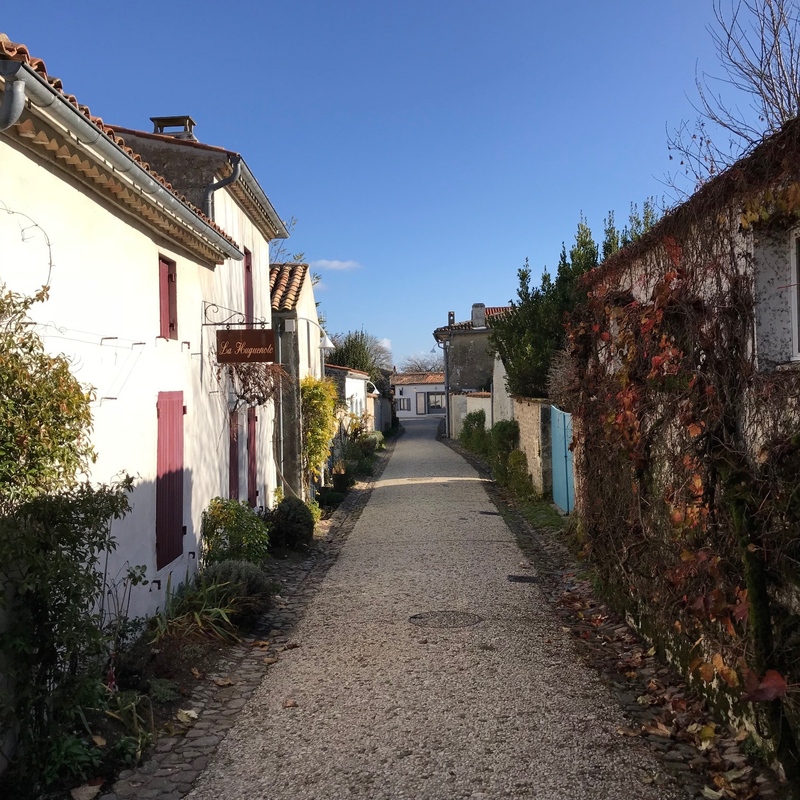 Blaye is located in the Aquitaine region of France, 35 minutes north of Bordeaux. 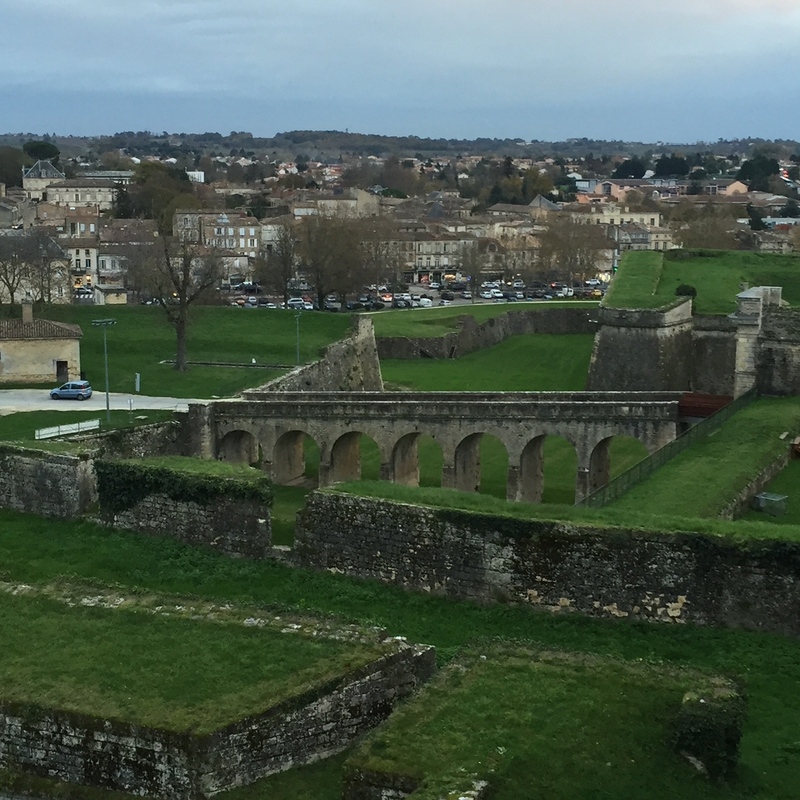 Blaye is a picture perfect small UNESCO World Heritage village, awarded this honor because there is a 17th century fully intact citadel built by Vauban in the middle of town. 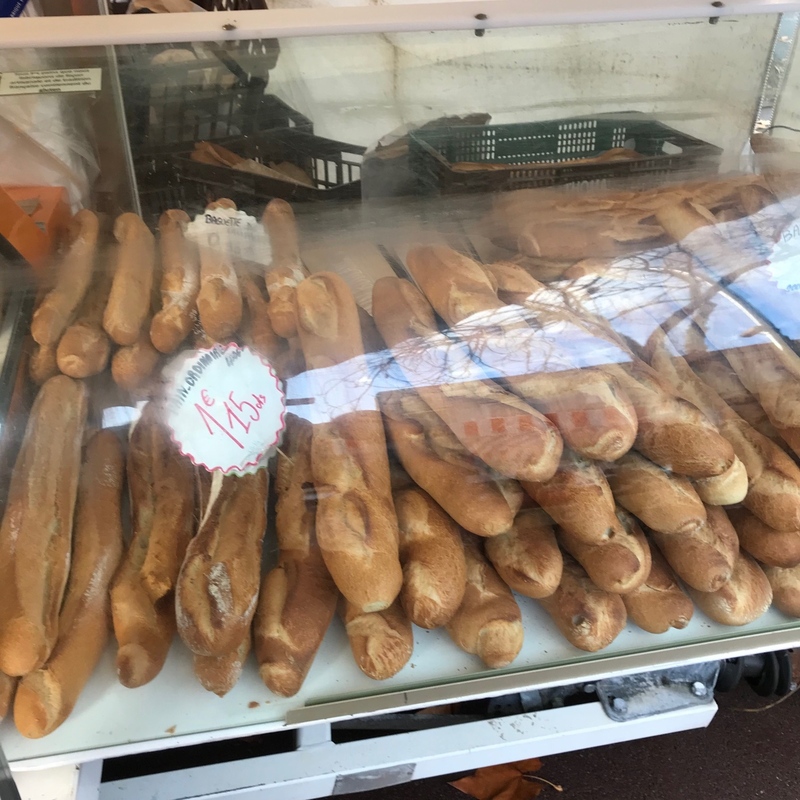 The bakeries produce the best breads and the cheese shop will have you salivating. 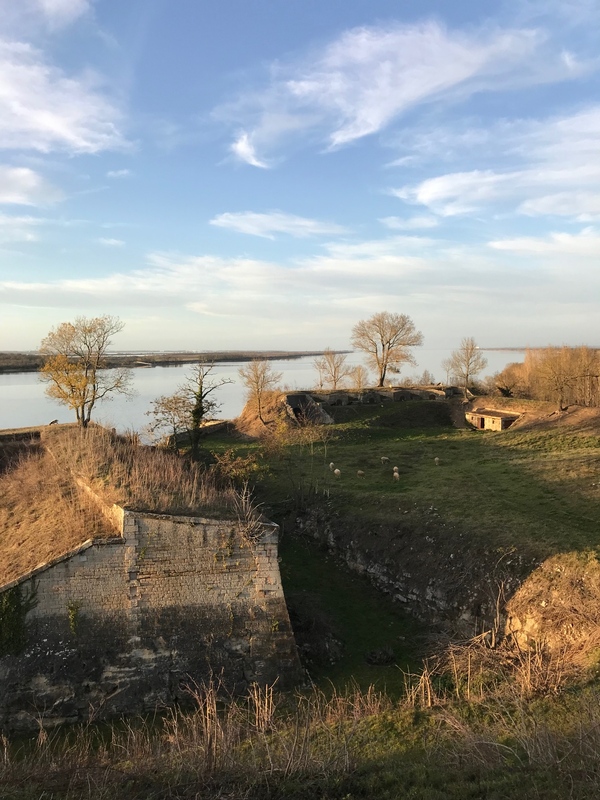 The Gironde River abuts Blaye and you can take a short, delightful ferry ride across the Gironde estuary to the village of Lamarque. 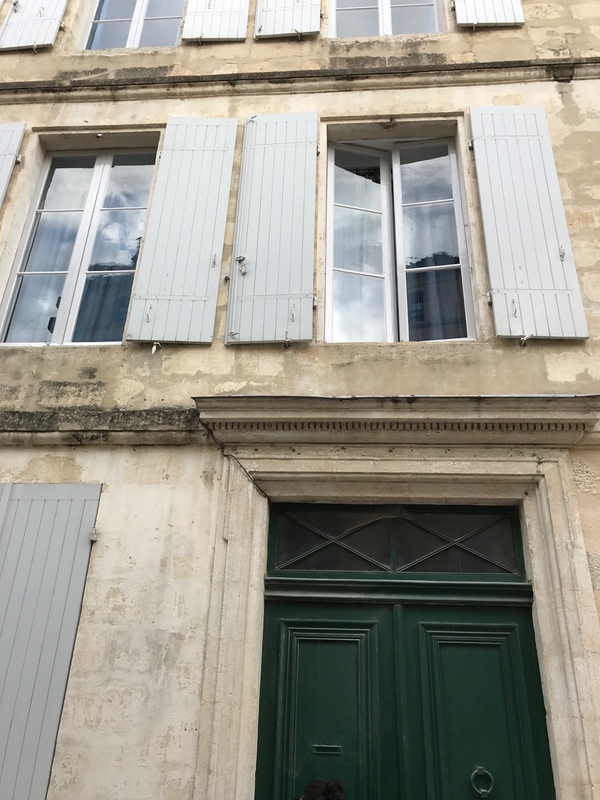 Lamarque is located between Pauillac and Margaux. 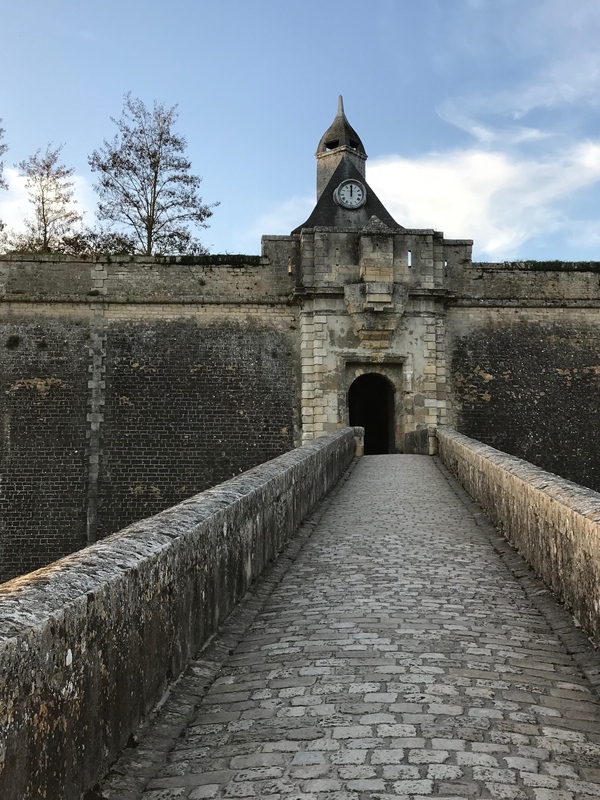 The car ferry drops you in the heart of the renowned, unspoiled Medoc wine region. Want to have an accomplished specialist guide you through the ins and outs of Medoc? Wine expert, Les Kellen, is your man. 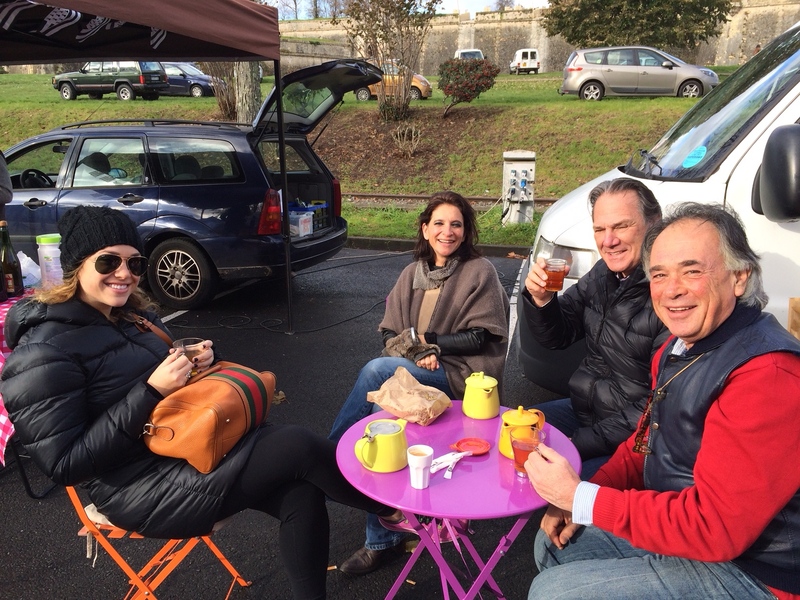 Tea Time at the Blaye Market with Clarissa and Les. 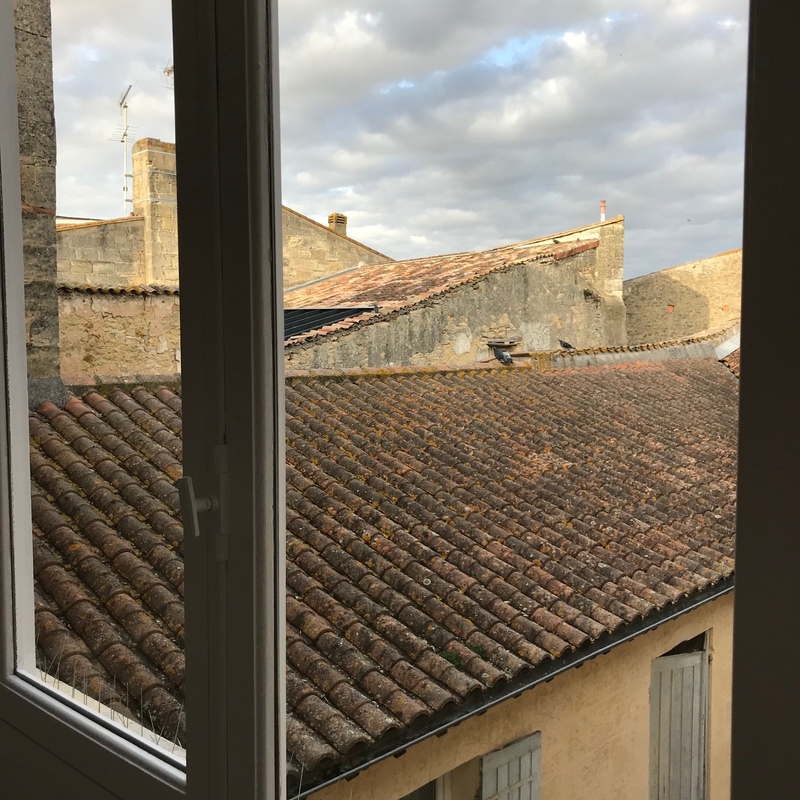 Need a knowledgeable person to plan your entire stay…reach out to the competent, vivacious and creative Lara (info@bordeauxvillageblaye.com) who will make all your dreams come true. 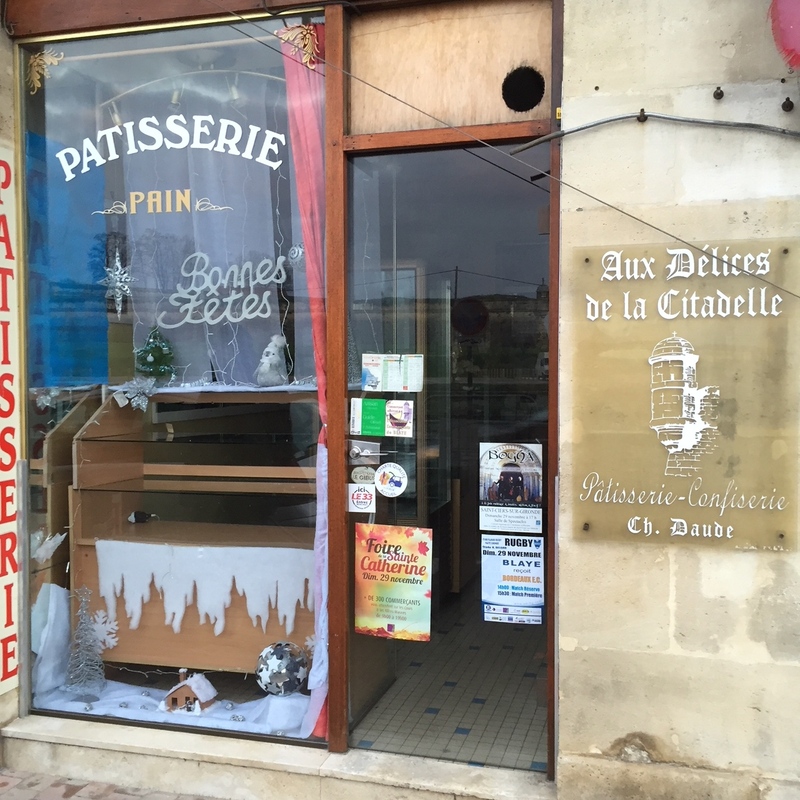 Immerse yourself in a rapid fire french language class. 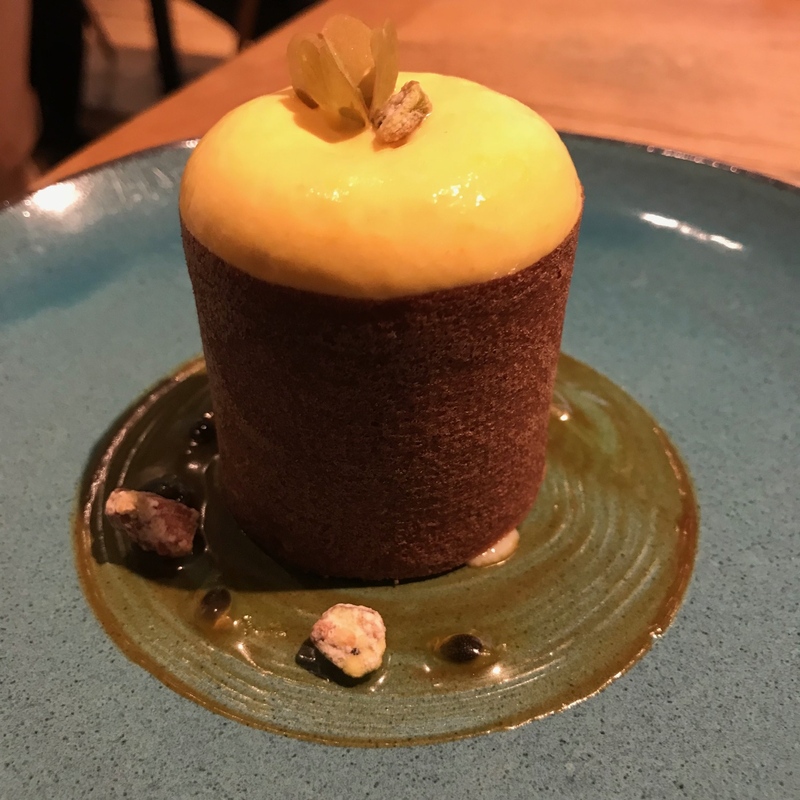 You will be ordering off the menu like a local within the week. 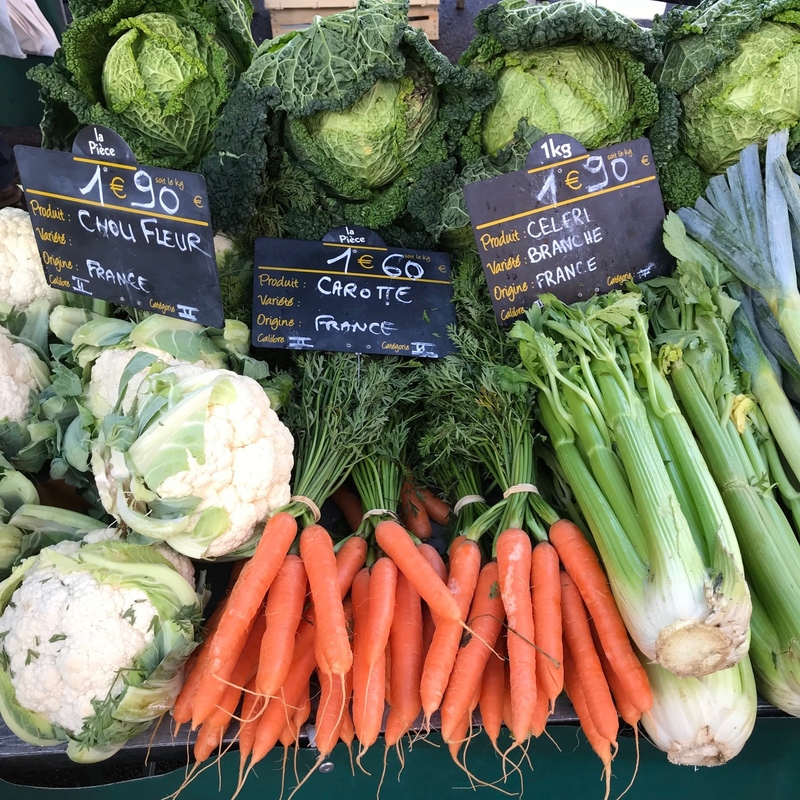 Or you can visit the biweekly acclaimed Blaye farmer’s market with your own personal chef who will create a gourmet meal in your very own ultra modern kitchen. 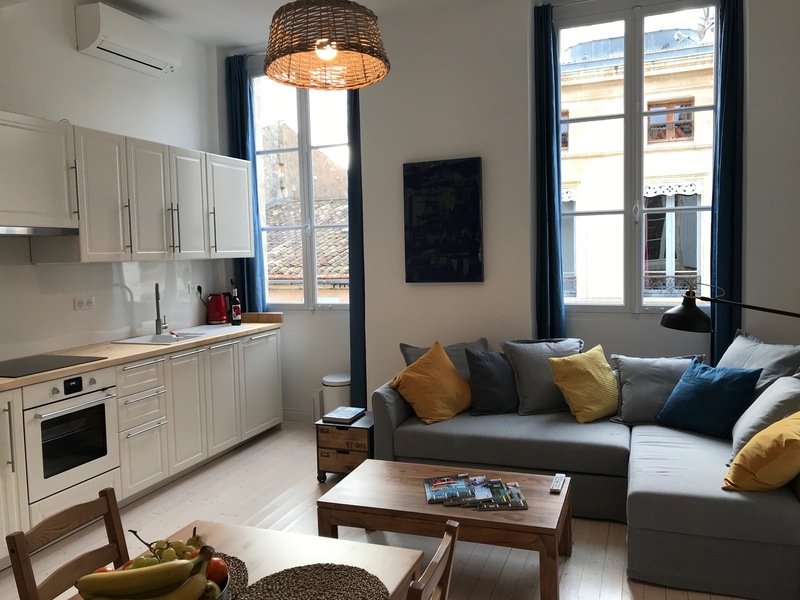 Our new home in Blaye is available for renting along with a plethora of amazing luxury apartments. 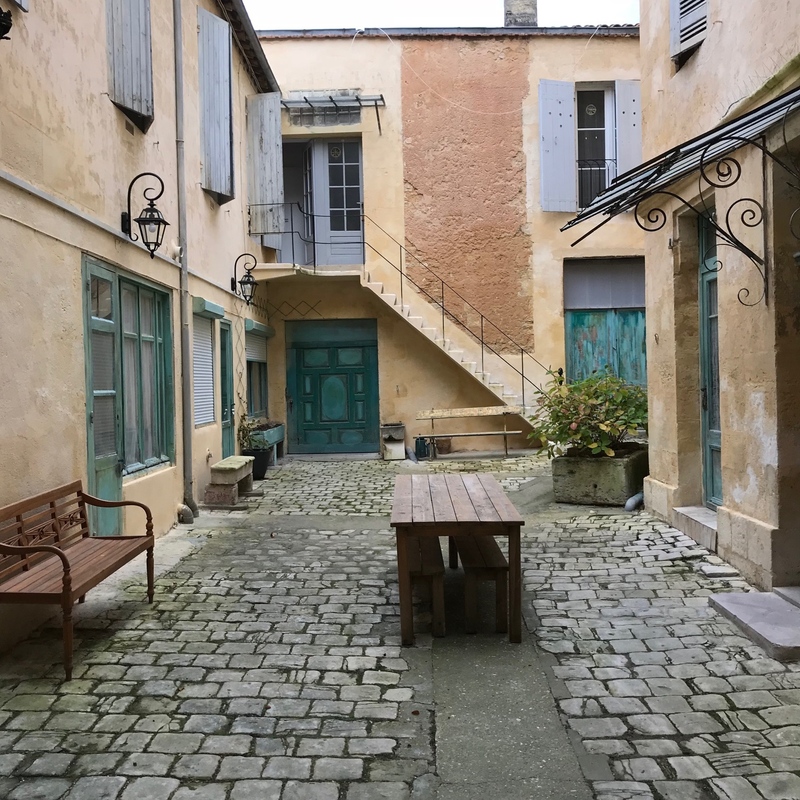 Blaye is perfect for a destination wedding, a bachelorette party or a diverse, fun-filled family vacation. 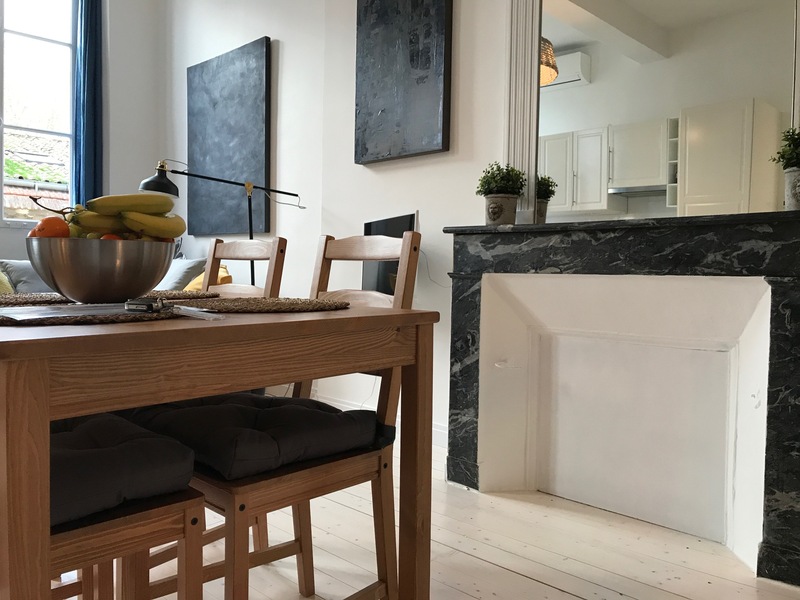 Your home away from home, rentals are remarkably reasonable and possess all the American amenities any sophisticated traveler desires…AC, make up mirror, washer/dryer, modern bathroom, high pressure overhead shower, hair dryer, well stocked kitchen, dishwasher, original artwork, WiFi, TV. 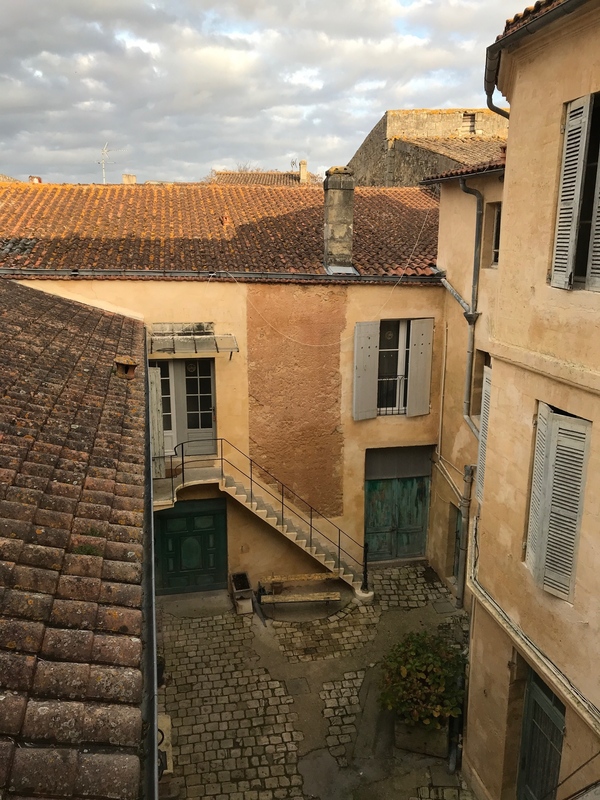 Our building is a 17th century gem, oozing with old world charm…I hate to leave every time I visit. 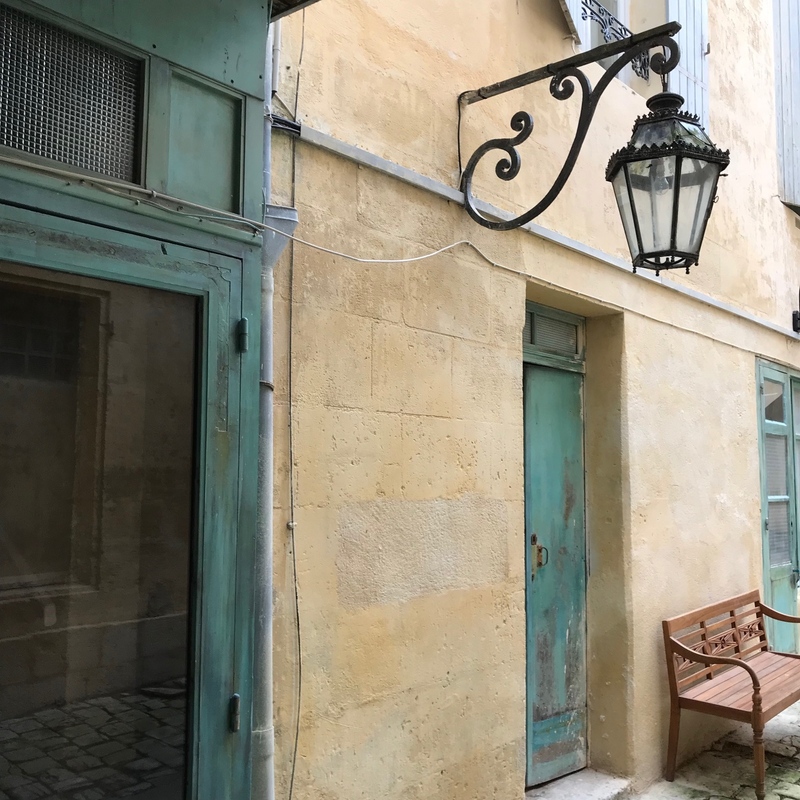 Our friend, resident artist and interior designer, Clarissa Schaefer, along with Lara, can aide in antique retail therapy, directly you to the hidden french treasures. 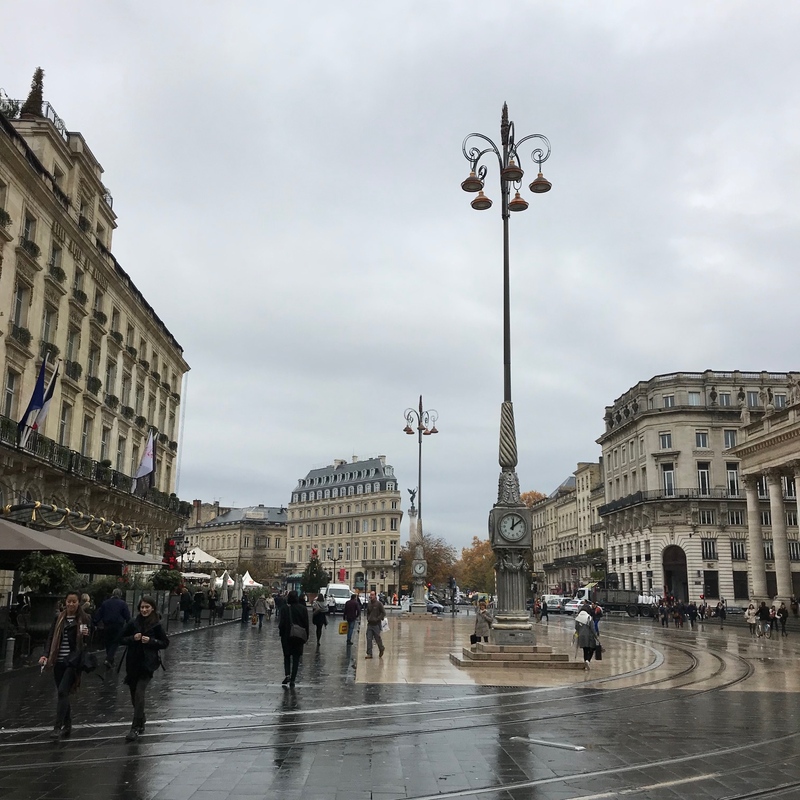 The city of Bordeaux has been dramatically overhauled. 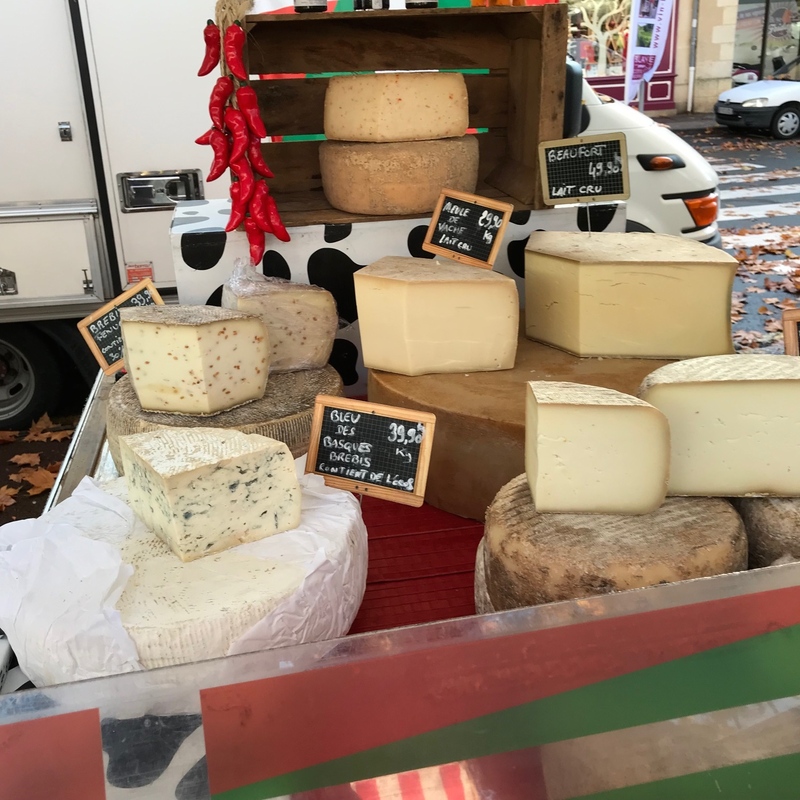 Bordeaux now rivals Paris in the culinary department. 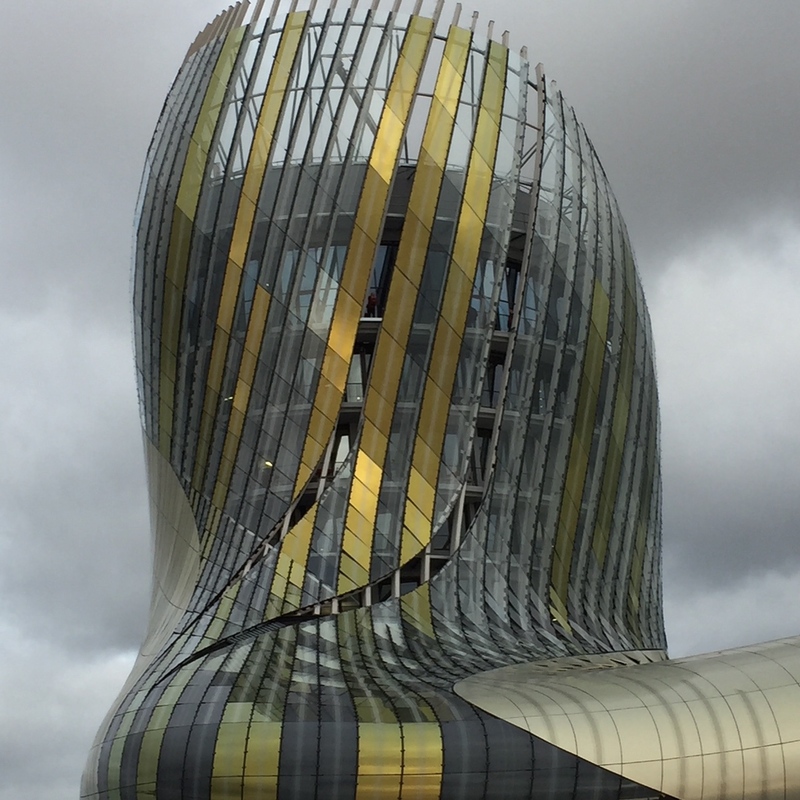 An imposing Wine Museum, La Cite du Vin, has recently debuted. 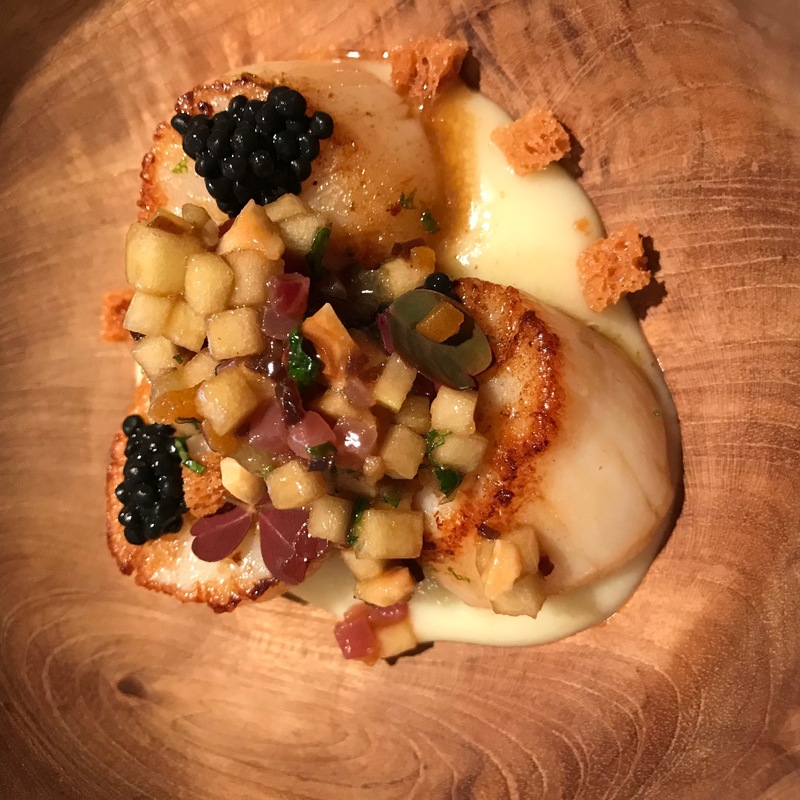 Many young chefs have settled in the old city and are turning out unbelievable food. 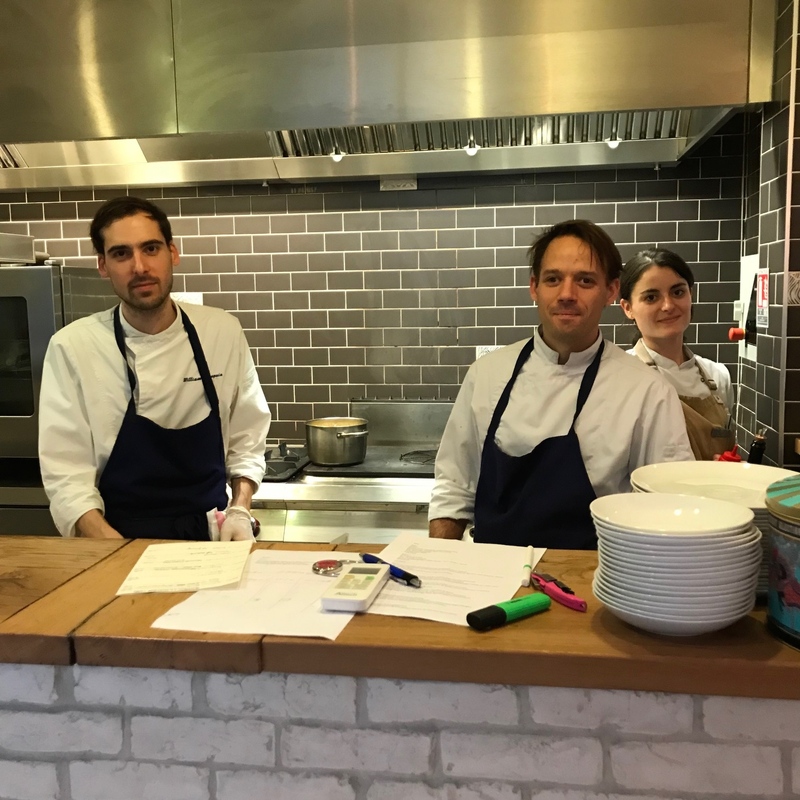 Recently, we had lunch at Garopapilles on 62 Rue Abbé de l’Épée and it was extraordinary. 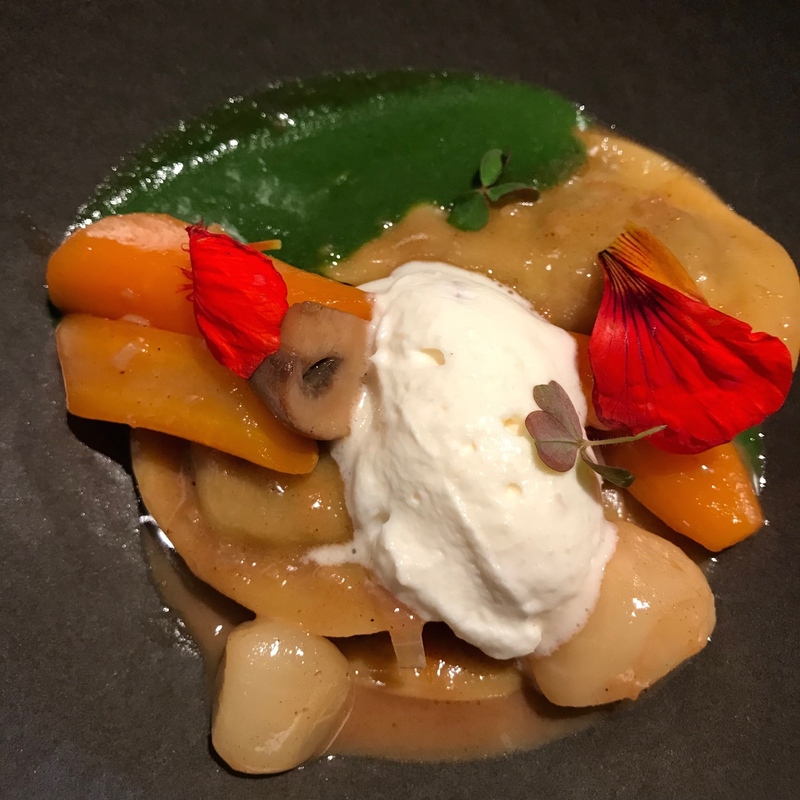 For 45 Euros we indulged in the most amazing 4 course lunch in a intimate setting. 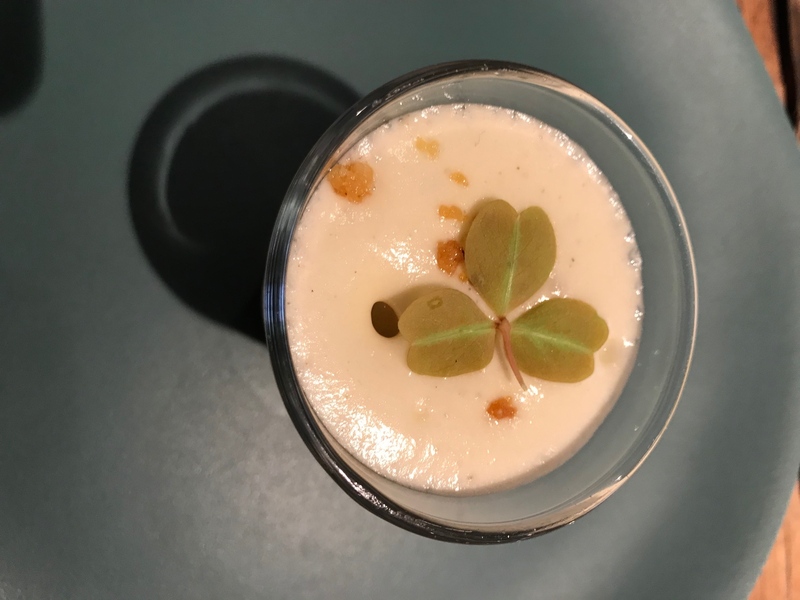 The foie gras parfait was to die for. 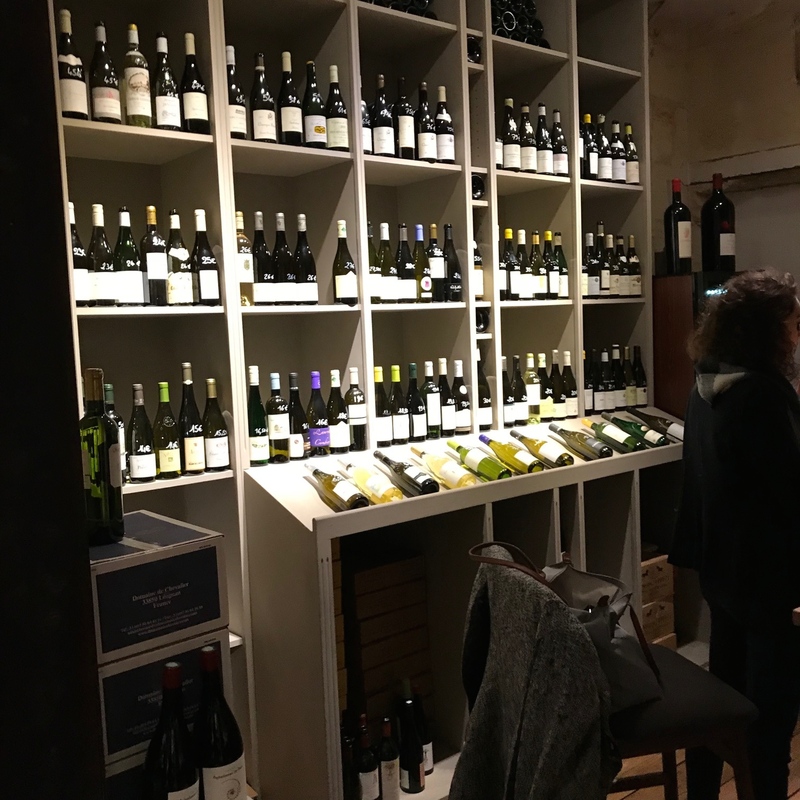 Shopping in Bordeaux is top notch and in April a luxurious high speed train initiated the 3 hour voyage between Paris and Bordeaux. 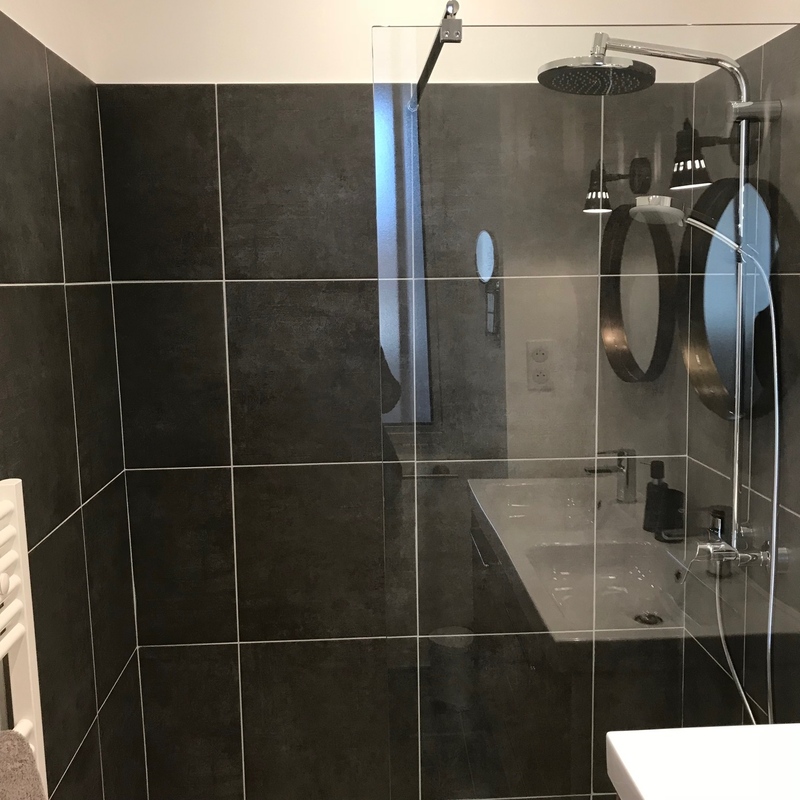 You can easily arrive by train or fly into the modern Bordeaux-Merignac International Airport. Rent a car or Lara will provide personalized transportation. If you are missing your regular exercise activities, yoga is available and there are miles and miles of scenic biking trails. 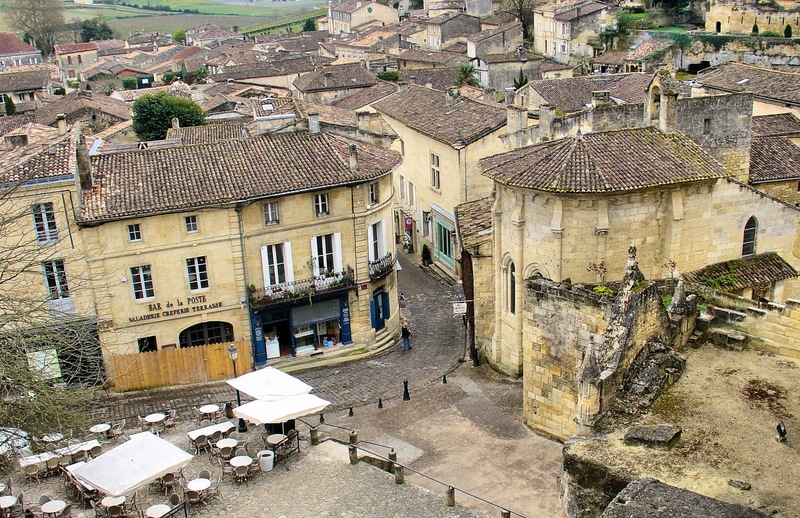 You can bike all the way to picturesque St. Emilion. Afterwards, relax with a customized in-house massage. 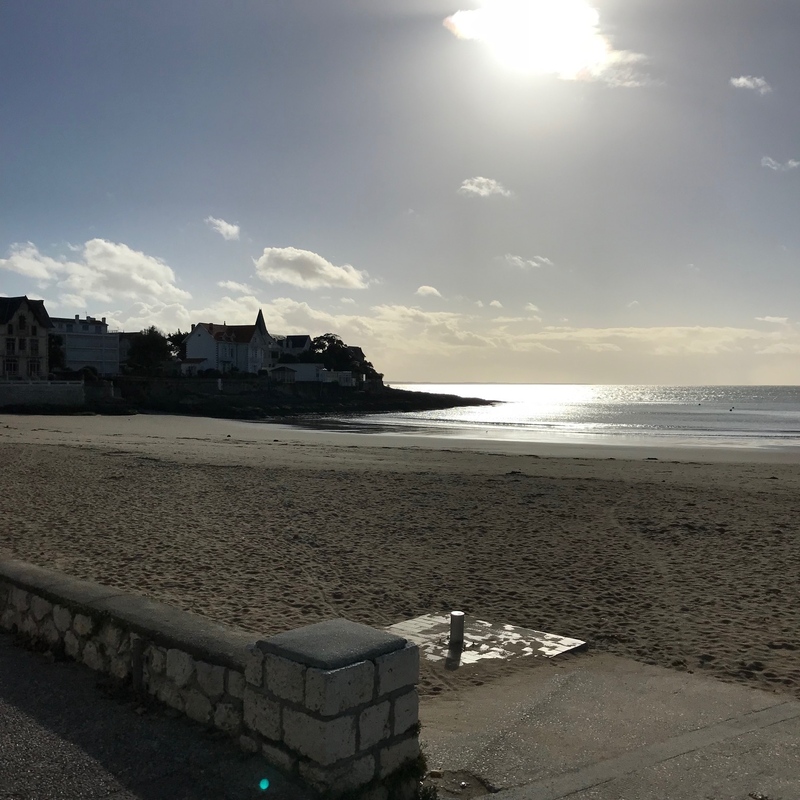 Beautiful beaches and charming villages are only a one hour drive away in Talmont sur Gironde and Saint-Palais-sur-Mer. I would love to share this undiscovered region with you before it explodes. 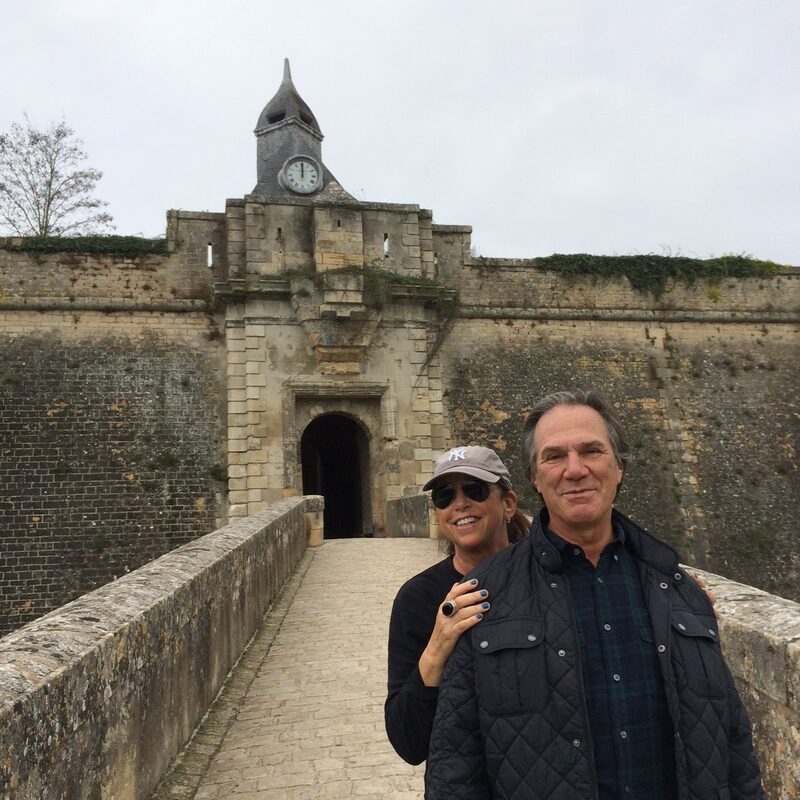 Live vicariously like a french native, relax, explore, indulge, drink incredible Bordeaux wines and have the time of your life without breaking the bank. 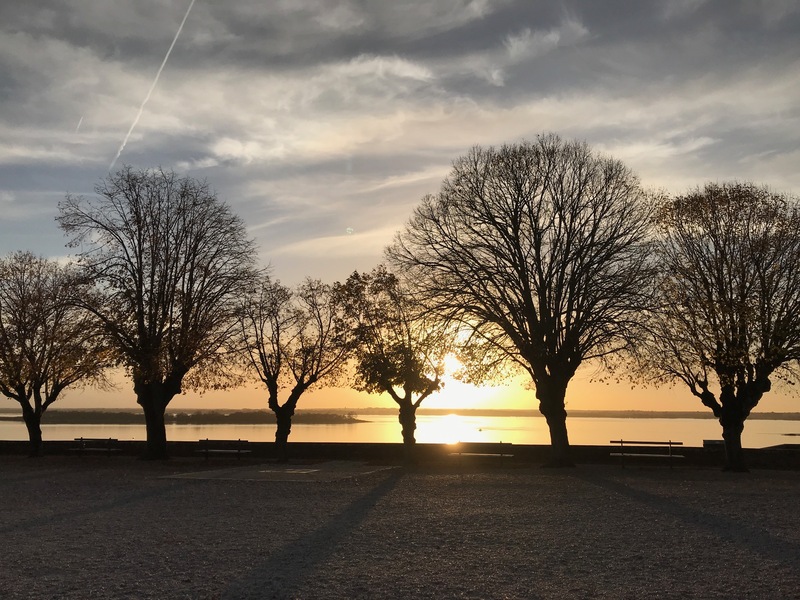 Blaye is for the intuitive traveler who loves to beat the system and uncover the next best ultra desirable destination. Baye must be on your bucket list…do not hesitate to reach out to me through my blog. 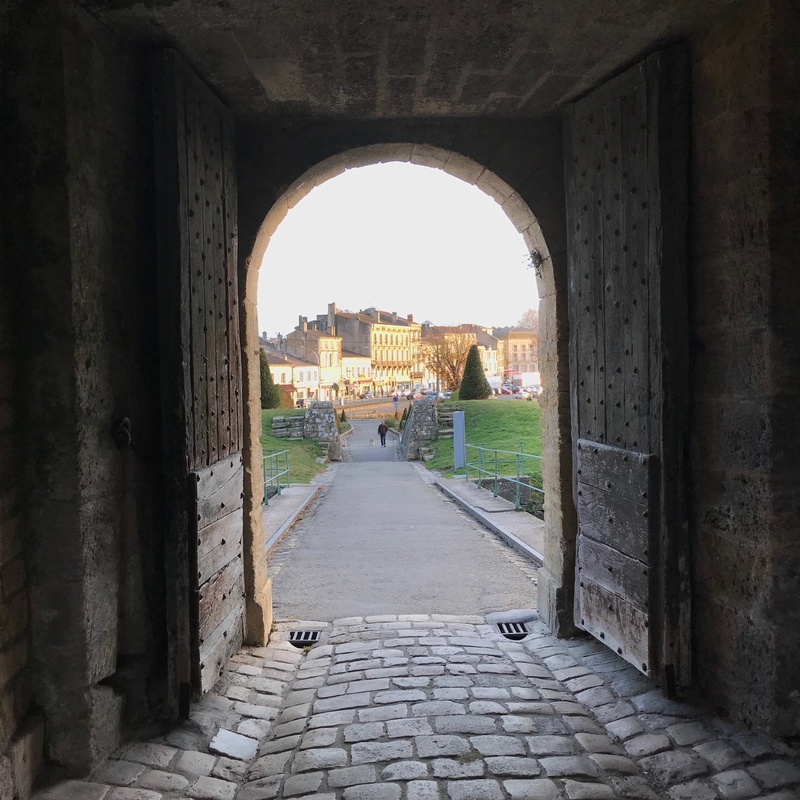 You will fall in love with Blaye…transport yourself and experience a window into the authentic, undiscovered, affordable France. Thank you so much for sharing. It is beautiful and so charming and warm. The food looks beautiful. I have definitely added it onto my travel list. Thank you!!! Great! So glad you enjoyed. 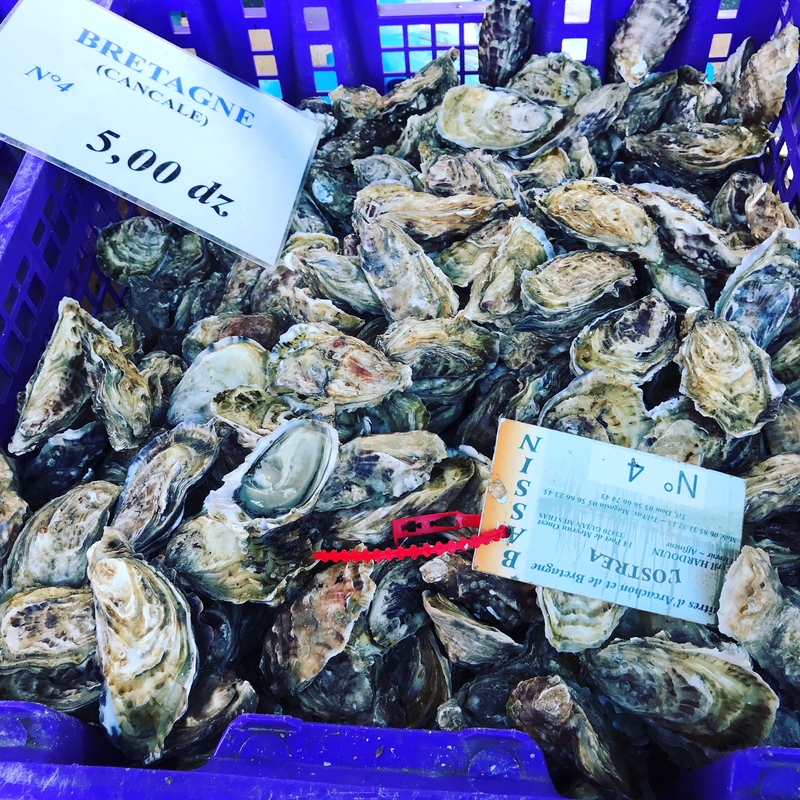 Let me know if you ever make plans to head to Blaye.